How do you go about fixing a problem as vexing as the struggle to improve healthcare access for the underserved? One potential solution is to restructure the way physicians are trained by utilizing the large number of volunteer faculty available at all medical schools. From the late 1700’s to the early 1900’s, physicians were trained as apprentices in the clinical setting, working alongside attending doctors. With the introduction of the Flexner Report in 1910, the teaching of medicine was centralized, with the focus on using academic institutions as being the primary source of training. Is it time to revisit this? In 2013 I wrote an article about using volunteer clinical faculty at medical schools to help train psychiatry residents to meet the needs of collegestudents requiring mental health services. Medical schools often have hundreds of volunteer faculty in their departments that go unutilized or underutilized. The article provides an example of using volunteer clinical faculty in a department of psychiatry to meet mental health needs at a minimal cost. Patients as well as the residents found it to be valuable. More importantly, this program does not have to be limited to mentalhealth. It can be applied to a variety of different primary settings very inexpensively. In effect, it is a reversal of the recommendations of the original Flexner Report of 1910 and returning physician training to a model similar to apprenticeship programs used previously in the US, but also adding online support and remote teaching for additional training. Residents are not subject to the restrictions of insurance, Medicare or Medicaid since they are prohibiting from participating with those payment systems. As the number of attending physicians participating in such a training program grow, the number of residents that can be trained without cost to the residency training programs increases to the point that it becomes self-perpetuating. For patients on public assistance or Medicare, one option would be to issue Health Savings or Flexible Spending Account cards instead of their Medicare or Medicaid cards for the purposes of paying for outpatient services. This can help to reduce the cost of outpatient services, which makes up the vast majority of the medical care provided in the United States. A separate solution will need to be provided to reduce the costs of higher level of the more intensive care primarily provided by hospitals. In rural areas, hospitals seeking to add staff can help house residents in training and create incentives for them to remain in the area upon completion. 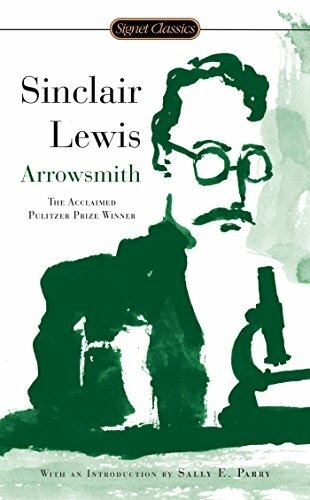 I also invite you to consider reading Arrowsmith, a novel by Sinclair Lewis, published in 1925. Nearly 100 years later it still accurately captures the world of health care and all the forces that can either enhance or corrupt it. Click the Image to read a selection.